One thing many photographers do not necessarily anticipate when they start their photography business is the sales side of the business. Unfortunately, in most cases, there will not be an endless stream of potential clients knocking on your door begging for your photography services. You are going to have to sell yourself. It may at times seem like the job interview that never ends. And since most of us are not big fans of being on the receiving end of a job interview to do it over and over and over again is not something that thrills us. It can be enough to make some throw in the towel. But before you let the grueling sales process of the photography business do you in try thinking about it differently. You are not applying for “just another job” you are going to get paid for what you love, taking photographs. That is something most people never get to do. So with that in mind and these tips for selling yourself to potential clients approach your next sales opportunity a little differently and with time the sales call will be second nature. 1) There is no substitute for being prepared. So do your research and know everything you can about the business of your potential client. Not everything will pertain to your photography shoot, but the more you know about them can give you the upper hand in understanding what they need in a photographer and for their photographs. 2) Dress like it is a job interview. You may wear jeans on the photo shoot, but as the saying goes, “you never get a second chance to make a first impression.” Dress to impress when you are trying to convince someone to pay you to provide a service for them. 3) Prepare questions. As part of your research come up with everything you need to know in order to provide the potential client with a solid and accurate proposal. Then ask your questions if they are not answered in the course of the conversation. Make sure you leave the meeting understanding their needs 100%. 4) This one seems obvious, but bring samples of your work. Even if you have an online portfolio don’t assume they are reviewed it in detail or understood what they were looking at. Bringing either a traditional print or a digital portfolio to review and give your “sales pitch” on can help you tie your past work into their present needs. 5) Whenever possible, try to tie the portfolio work you bring to show into what they may need. If I am meeting with a commercial client a portfolio full of residential real estate photography will not best show off my skills that are relevant to their needs. A few residential images are a good idea to show off the range of my abilities, but make sure they know you can do what they are needing. 6) Go the extra mile. Try to make yourself stand out and show the potential client that you understand their specific needs. For portraits maybe you can scout out potential locations ahead of time and come ready with suggestions and even with a few quick shots of the sites you think will work. For architectural photography clients maybe you can get some quick shots of their building and include it in your portfolio. But only do this if you are confident in the resulting image. Don’t ever put any thing “so-so” in your portfolio. Especially if it is something the client is intimately familiar with. For food photography find out what they specialize in and get a few shots of that food genre to show. Bottom line is to let the client know you can produce what they need and have an understanding of their unique needs. 7) No two clients are the same, your presentation should not be either. Canned presentations often come across as such. Be unique, be creative. 8) Leave a piece of yourself behind. A business card is a given, but go that extra step and leave something that will remind them of you and why you are the best photographer for the job. You don’t have to spend a lot for elaborate reminders. I do a small 4×6 version of my portfolio so they can easily remember what I showed and connect me back to specific images that they related to . Do Arizona Photographers Need to Charge Sales Tax? First a little disclaimer; the content in this post is based on my own (extensive) research. I am not a lawyer, accountant, or expert in the field of taxes or tax law. So before making decisions for your own business practices you should consult a professional in this field. Also, I live in Arizona, so the information I researched was for Arizona only, every state and city has its own rules regarding taxes so make sure you are following the rules for the city and state in which you practice photography. With that out of the way, as I have grown my photography to include paid shoots for both individuals and businesses (i.e. created a business around photography) the unavoidable question of taxes came up. The question being “As a photographer in Arizona, do I need to charge my clients sales tax on the images they buy?” As is inevitable, that question led to more tax related questions. I figured I can’t possibly be the only photographer in Arizona wondering about this. So I am posting the results of my research into the questions I had. Just keep in mind the first paragraph above and use these questions and answers as a guide for your own research and business decisions. 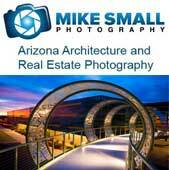 Do photographers in Arizona have to charge clients tax? Does that tax only apply to the finished photographs or are things like sitting fees, creative fees, and the like also taxable? Does the answer to number 2 mean that if I am not selling a photograph I do not need to charge tax? What if I am just selling a license giving someone the rights to use the photographs? Is there a difference between taxes for consumer clients versus business clients? Sometimes. If you are selling to consumers taxes will generally always be involved. For business clients, you would only not charge tax if the business you are selling to is not the final end user of the images. In other words if you are selling to them so they can then turn around and resell the images to someone else, usually at a mark up. In this case the business you sell to will charge the tax to the individuals they sell the images to.